Farhan is known as a all-rounder he is a script writer, singer, writer, director and also an actor. All his films is extremely entertaining. 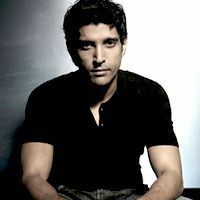 Check out the most updated and latest information about Farhan Akhtar's on the Internet.We have 116 videos of Farhan Akhtar including interviews, events, or public appearances.Farhan Akhtar has over 105 Fans registered on India-Forums.com. We have 877 Bollywood News articles related to Farhan Akhtar.Do share your criticism, comments and feedback for the Actor on Farhan Akhtar's comments page. We have over 89 Photos of Farhan Akhtar to view and download including Farhan Akhtar's Wallpapers. You're an all rounder! Director,Producer,Actor,Singer! :O You're damn talented,man!